Tucked inside Gov. Jerry Brown’s projected 2016-17 budget is a proposal for an unusual state-funded competition to address a long-standing challenge facing high school seniors: getting them better prepared for college-level math. Brown is proposing spending $3 million for a competition to develop a year-long math course that is closely aligned with the California State University’s expectations for incoming freshmen, and will help students avoid having to take remedial classes when they get there. In higher education circles, educators increasingly refer to these classes as “developmental classes,” in part to remove the stigma that may be associated with the “remedial” label. The governor’s budget proposal noted that a high school course already exists to better prepare students for college-level English – the Expository Reading and Writing Course – which is now being taught in most high schools in the state. The additional high school course would mesh with the Common Core State Standards, which envisage a three-year sequence of math courses but also strongly recommend a fourth year, without specifying what that fourth-year course should be. CSU faces a persistent challenge of having to provide developmental classes for incoming freshmen. In the most recent CSU freshman class, for example, 25,000 students, or almost half of the incoming class, were required to start their math or English remedial work during the summer before they enrolled through CSU’s Early Start program. 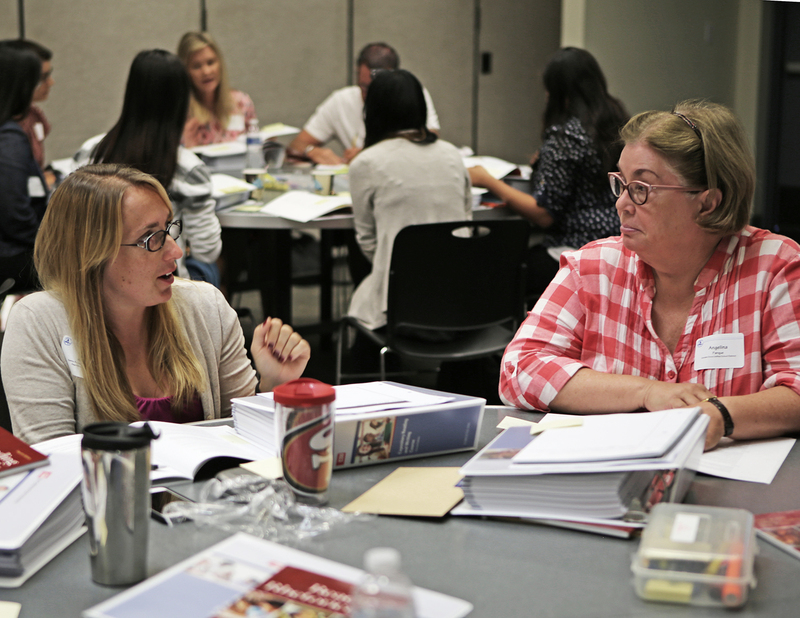 The Expository Reading and Writing Course, often referred to by its acronym ERWC, was created in 2003 and has been the subject of considerable research indicating that it has made a difference in preparing students for college-level English. “Students who enrolled in the Expository Reading and Writing Course scored higher on the English Placement test and the difference was statistically significant,” an evaluation of the English course conducted by Finkelstein and four other WestEd researchers concluded. Currently the English course is offered in more than 800 high schools, reaching approximately 80,000 students. Before last year, CSU’s Early Assessment Program used an augmented form of the state standards tests in math and English to determine the likelihood of students being be ready for college-level math and English. Currently, performance on the 11th-grade Smarter Balanced assessments, which were introduced in the spring of 2015 and are aligned with the Common Core standards in math and English language arts, is used to assess students’ readiness. Students who voluntarily participated in the Early Assessment Program and earned a “conditionally ready” score – one rung below the “college ready” ranking – were encouraged to take the Expository Reading and Writing Course. Students who get a C grade or better in the writing and reading course are then deemed to be ready for college-level English without having to take CSU’s placement test. Similarly, the new math course would target students with comparable ability in math who have passed Algebra 2, which is required to gain admission to CSU and UC, and who scored “conditionally ready” on the Smarter Balanced assessment. Students who tested “not ready” could take it, too, although, regardless how they did in the course, they would still have to take a CSU math placement exam to determine whether they should take a developmental summer course, said Ken O’Donnell, a senior administrator in the CSU chancellor’s office. The course will be designed so that even students who scored at a “college ready” level on the 11th-grade Smarter Balanced test would benefit from taking it, he said. In particular, the new math course could help students master Algebra 2. 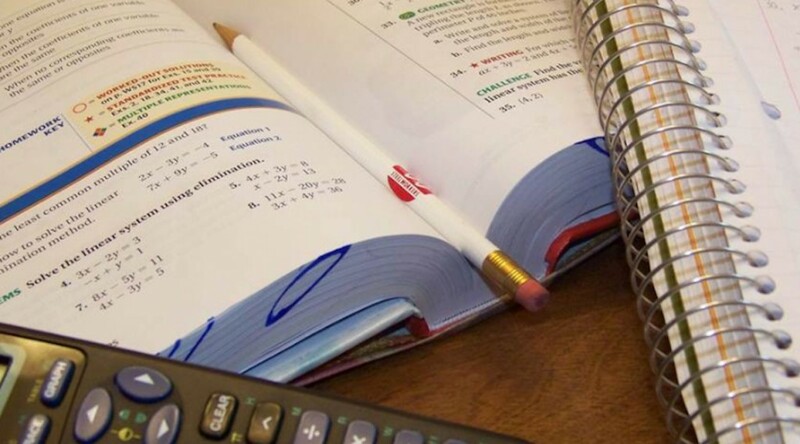 WestEd’s Finkelstein noted that Algebra 2 is a hard, discouraging experience for many students in the 11th grade, leading them to abandon math entirely after taking the class. He estimates that 30 percent of students don’t take any math in the 12th grade. Other estimates put that figure as high as 40 percent. That means that large numbers of students are likely to arrive in college unprepared for college-level math, and that they will have to take developmental classes to catch up. It might also disqualify them altogether from admission to most UC campuses. Finkelstein said his hope is that students would not leave high school thinking a range of academic or career options is closed to them in college because they did not do well in math. The 12th-grade course should enable a student to start college with a clean slate, be ready with technical fluency in the subject and have a mindset for math and quantitative work in general. To achieve that goal, he said, the new 12th-grade math course should be engaging and filled with practical applications of math concepts. Teachers would have to be well-trained in the curriculum. Finkelstein said the course could prompt CSU to rethink what math skills students who are not intending to enroll in math-intensive courses of study need to know to enter college. The course, he said, provides an opportunity to “experiment with math content for high school seniors” and to reassess the overall sequence of math courses in high schools. Similarly, in the recommendations to be published by LearningWorks, Burdman said the state should encourage “innovation and experimentation” in the development of these courses, which seems to be the goal of the competition Brown is proposing. Louis Freedberg and John Fensterwald contributed to this story. Correction: Due to an editing error, the original version of this story indicated that 7,000 teachers had attended ERWC. The correct number is 13,000. One of the major problem in high school education is that students are taking math classes above their level. Many students, if they would simply take math courses at their level, then they would not waste time and will efficiently advance their math. The goal of high school math should be assessing the students honestly and placing the students to the right class every semester so that the students can learn. Governor’s idea of fixing the students’ level to algebra 2 is good, but a more basic and systematic fix must be considered. We have too much social pressure to misplace students to higher math courses, but we have to be more realistic and maintain efficient learning. I think many students in high schools should be taking a lower math courses, but the school does not offer such lower level math courses. I think that this is an excellent idea. Math needs to be accessible to all students. We need to stop promoting the belief that “some people are just good at math and others aren’t”. We don’t allow people to say “Some people can read and write and others just can’t do it”, so we shouldn’t make those allowances for math either. It isn’t an either/or scenario. People are perfectly capable of being proficient in both math and language arts. If you leave High School without a solid grasp on mathematics, then your educational system has failed you. I was a product of that thinking. I spent most of my life believing that I wasn’t good at math because I just didn’t “have the math gene” as my mother would put it. In all of actuality, I wasn’t good at math because I was told to memorize formula after formula and when I asked where the formula came from, I was told that it didn’t matter (probably because the teachers I had were either unable to tell me or uninterested in trying to explain it to me.) I would go homer confused, and my mother would tell me that it was her fault, that she wasn’t good at math and she had “passed it on” to me. What was really happening, was that she was unable to help me with my homework, so I was on my own if I didn’t understand what was taught in class the first time. Looking back, what I really needed was a tutor, what I got was a fear of (and later disdain for) math. It wasn’t until college that I realized that not onIy could I do math, but that I actually quite enjoyed it. The reason that I had missing out on math all of those years was because I am not the type of learner who does well at learning or memorizing something without understanding the “why” of it first. The State Department of Education is stating that under “Local Control”, State Content Standards and Curriculum Frameworks are “recommendations” not “requirements”. So if California no longer has a minimum requirement for subject content and instructional time- why do we need a contest to come up with a new way to teach math? Probably because college preparedness is a good idea whether its required or recommended. Why would a history or English major need Algebra 2 in college? The passage of Algebra II with a “C” is a minimum requirement for admission into a 4-year selective university. Probably because what is learned in Algebra II helps in understanding more of our world? Or maybe because it teaches students to be methodical in their thinking?